Later this week we’ll be heading down to Disney’s Hilton Head Island Resort, a favorite home away from home of our family. Something about the low county fishing lodge, nestled among the oaks and Spanish Moss on its own private island, really speaks to us. Of course, the stories of the resort are many. There is the story of Shadow’s arrival to the resort. B’lou is a fount of tales from the island and low country. And then there are the names and signage found all throughout the resort: Big Murggie, Edmunds, Michael & Michael’s, etc. Over a century ago, my Great Grandpa Thaddeus embarked on his quest for the perfect vacation home site. He finally located an “island paradise” whose banks were lined with natural sand dunes, live oaks and wild sea oats. Generations later, my family still vacations on Hilton Head Island. I’m partial to golf, and luckily for me the island is home to some of the best golf courses in the world. The kids never tire of biking along the paths or going crabbing for their supper. And my wife and I cherish our romantic strolls under the moonlight. Whether it’s the dolphins frolicking just off shore or the snow white egrets gliding across the clear blue sky, you have to experience the unique sights and sounds of the Low Country first-hand to truly appreciate it. 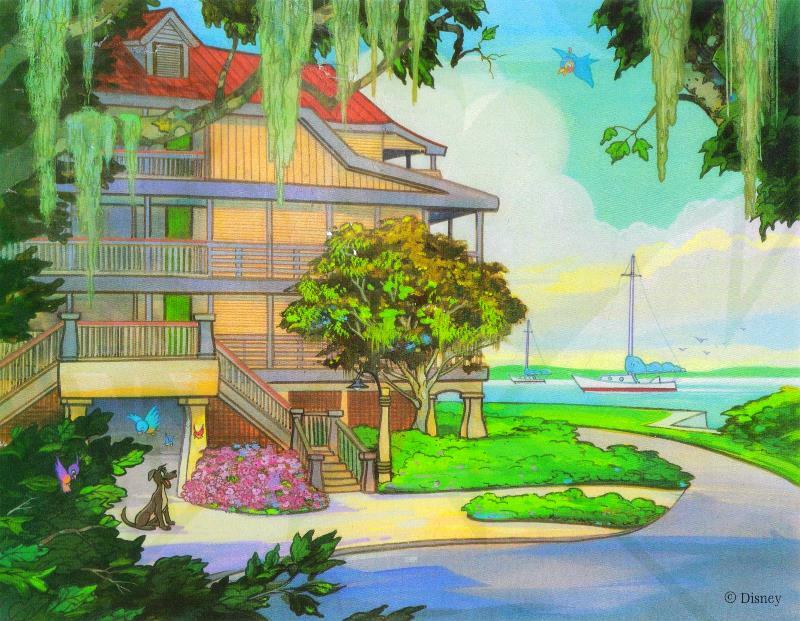 Now that Disney’s Hilton Head Island Resort is here, we have plenty of room for all of our friends and family. The natural beauty of Great Grandpa’s paradise hasn’t changed much over the years. I invite you to come see for yourself. Paints quite the picture, huh? It doesn’t matter which story you find at Disney’s Hilton Head Island Resort, or how you stumble upon it. What matters is that there are plenty of stories for everyone to discover there! Enjoy your stay! Halloween weekend saw some great weather here on the island.